When it comes to digital advertising, there are a ton of choices for how to promote your business online. Small businesses especially struggle with where to focus their limited advertising dollars, so the debate often centers on the two giants: Google Adwords and Facebook marketing. Some businesses have had great success on these platforms, while others have struggled to produce results. Consequently, there are a lot of misconceptions about what works and what doesn’t. Let’s take a look at a few of the biggest myths. Let’s get this elephant out of the room right away. Marketers love to debate over tactics, and they love to tell you that “such and such is dead,” in favor of the latest marketing trend. So you’ve probably heard that the world is being overwhelmed by ads, no one clicks them, and they’re a waste of money. We get it. Even we published an article of scary advertising statistics, showing how hard it is to capture today’s digital audience. Still, just because it’s harder than it used to be, doesn’t mean it doesn’t work. Digital advertising is an enormous industry that’s continuing to grow. 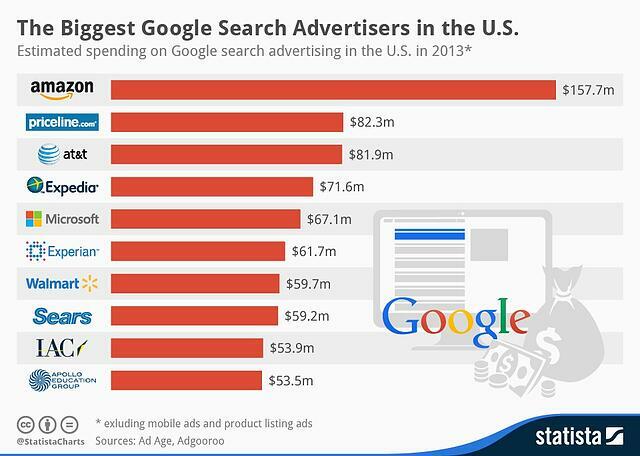 Google and Facebook dominate that market. Together, they captured 63.1% of the US ad spend last year – that’s more than $52 billion. We may hear scare stories that Facebook is dying, or Adwords will never work, but businesses wouldn’t keep pouring that kind of money into these platforms if they weren’t seeing results. Too many B2B marketers think there’s no place for them on Facebook. After all, it’s about sharing photos and watching funny videos – surely, their corporate decision-maker doesn’t have time for that, right? Wrong. What we often forget is that B2B buyers are people too, and Facebook is a great way to reach people. Looking at just the U.S., there are 203 million users on Facebook – that’s over 60% of the entire population. So chances are, the people you’re trying to reach are on Facebook. Facebook’s advanced ad targeting capabilities also help B2B businesses focus in on niche audiences. You can target users by job title, seniority, industry, employer, company size, and more. Just keep in mind that your goals for B2B will likely be different than B2C. If you sell t-shirts, you might get Facebook users to make an impulse buy directly from an ad. They probably won’t buy complex business software on the spot – you’re better off aiming for top of the funnel lead generation offers versus direct sales. Since many B2C businesses focus on Facebook advertising, they often don’t think of Google Adwords as part of their strategy. While it’s true that it’s not for everyone, Google Adwords can be an extremely powerful tool for both B2B and B2C businesses. Adwords is great at delivering higher quality leads and fast e-commerce sales, because you can target people who are actively searching for solutions. Compare that to Facebook, where you have to entice people away from the funny cat videos with a compelling ad. They’re much less likely to be sales-ready. B2C companies are some of the biggest spenders on AdWords, especially in industries like retail, insurance, and travel. Again, companies like Amazon would not be spending millions of dollars every year if Adwords wasn’t working for them. That leads us to our next myth: that Google Adwords is too expensive, so it’s only for big businesses with huge ad budgets. Small businesses are understandably wary of Google’s notoriously high costs per click. Super-competitive keywords like “plumber,” “HVAC,” or “lawyer” typically cost at least $30 per click. 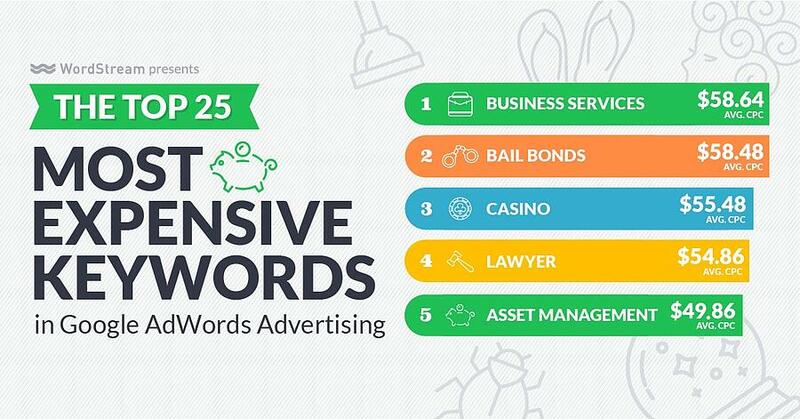 Yes, these keywords come with a high price tag, but the payoff is probably higher too. If you Google search for “plumber,” you’re likely looking for nearby plumbing service, because you have an immediate problem. Those repairs are likely to cost $100’s of dollars, and won’t be the last plumbing services you need in your life. That plumber is happy to spend $30 to earn a potential customer, because the lifetime value is worth a lot more. Still, a small business can make Adwords work with a much smaller budget. First, remember that the ad auction is not just based on who bids the most money. A small business can beat out a big corporation if they have a more relevant, higher quality ad. >>Related Article: What is PPC, and How Does It Work? Secondly, you can focus on more targeted, long-tail keywords, versus short, highly competitive keywords. Let’s take “plumber” for example. Rather than focusing on the generic, term, you could bid on keywords related to specific problems you can help solve, like “fix broken pipes,” or “hot water heater not working.” This will reduce your cost per click while still delivering high quality traffic. Many businesses make the mistake of thinking that pay-per-click advertising in general is a once-and-done task. You come up with the ad, choose some keywords, set a budget, and you’re good to go! Nothing could be further from the truth. 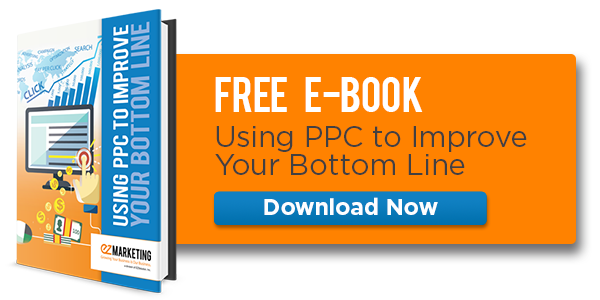 Any PPC expert will tell you that an effective PPC campaign takes time to implement, test, and optimize. Detailed research goes into selecting keywords, targeting the audience, and creating the right ads and messaging. Once launched, you need to continuously monitor the campaign to test variations, track results, and prune low-performing campaigns. It’s an ongoing and often complex process. 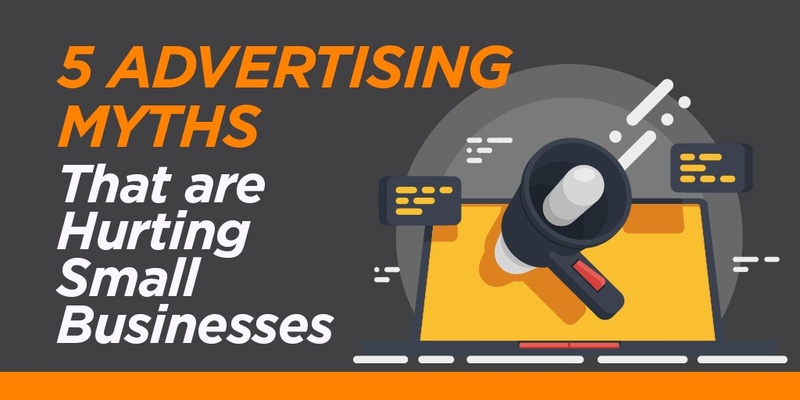 Unfortunately, many small businesses don’t have the time or expertise to dedicate to PPC, so they end up pouring ad dollars into an under-performing campaign. According to a study from Wordstream, small businesses waste 25 percent of their PPC budgets, primarily because they’re not actively managing their campaigns. If you’re thinking about investing in Facebook Ads, Google Adwords, or any other type of PPC advertising, make sure you have the time and expertise to dedicate to it, or considering investing in outside PPC marketing services.